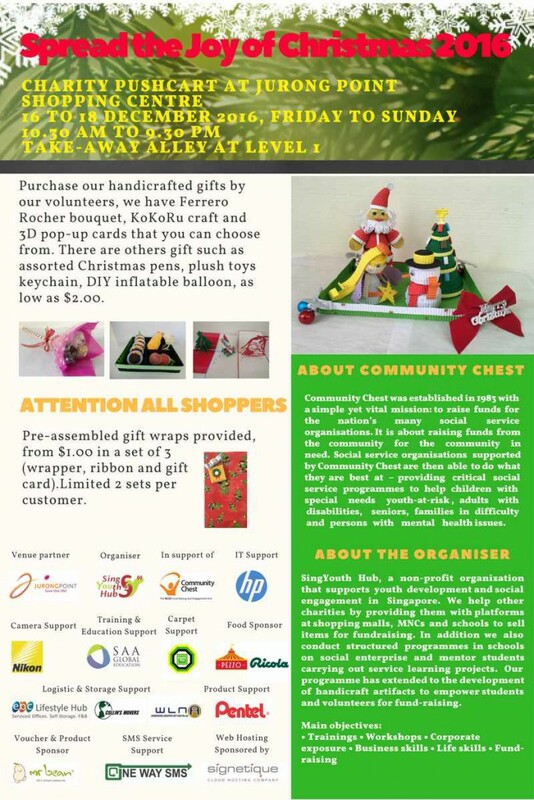 Purchase our handcrafted gifts by our volunteers, we have Ferrero Rocher bouquet, KoKoRu craft and 3D pop-up cards that you can choose from. There are others gift such as assorted Christmas pens, plush toys keychain, DIY inflatable balloon, as low as $2.00. Let’s all come together to make our contribution to Community Chest this Christmas.